Philosopher, author, and lecturer Alan Watts (1915-1973) popularized Zen Buddhism and other Eastern philosophies for the counterculture of the 1960s. Today, new generations are finding his writings and lectures online, while faithful followers worldwide continue to be enlightened by his teachings. 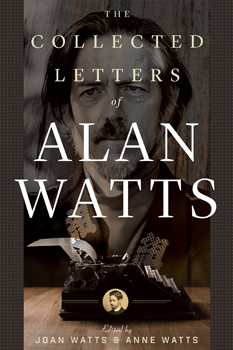 The Collected Letters of Alan Watts reveals the remarkable arc of Watts's colorful and controversial life, from his school days in England to his priesthood in the Anglican Church as chaplain of Northwestern University to his alternative lifestyle and experimentation with LSD in the heyday of the late sixties. His engaging letters cover a vast range of subject matter, with recipients ranging from High Church clergy to high priests of psychedelics, government officials, publishers, critics, family, and fans. They include C. G. Jung, Henry Miller, Gary Snyder, Aldous Huxley, Reinhold Niebuhr, Timothy Leary, Joseph Campbell, and James Hillman. Watts's letters were curated by two of his daughters, Joan Watts and Anne Watts, who have added rich, behind-the-scenes biographical commentary.